Deck stairs come in two basic types. In one, the stringers--the two diagonal side supports--are cut in a sawtooth shape to provide flat surfaces to support the treads you walk on. In the other, the treads (the boards you step on) are enclosed within the stringers and are held up by wooden or metal cleats. The following procedure concentrates on the sawtooth variety, but most of the information applies to both kinds of steps. Remove the old tread by prying it up, one end at a time, with a hammer and pry bar. Cut a replacement tread of the same thickness, width and length. Install the new tread by hammering two nails into each stringer or cleat. If each step is made of two boards, make sure you leave a 3/8-inch (1-cm) space between them for drainage. Apply stain or preservative to match the rest of the steps. Carefully remove the treads above the damaged part of the stringer. Make a straight horizontal cut with a handsaw, then a vertical cut (see A), to remove the rotted top of the stringer. Measure and cut a replacement piece; glue it in place, then nail it on top of the stringer (see B). Apply preservative if necessary; replace treads as described in step 3 above. Place a 12-inch (30-cm) length of flat board underneath the part of the stringer that needs extra support. 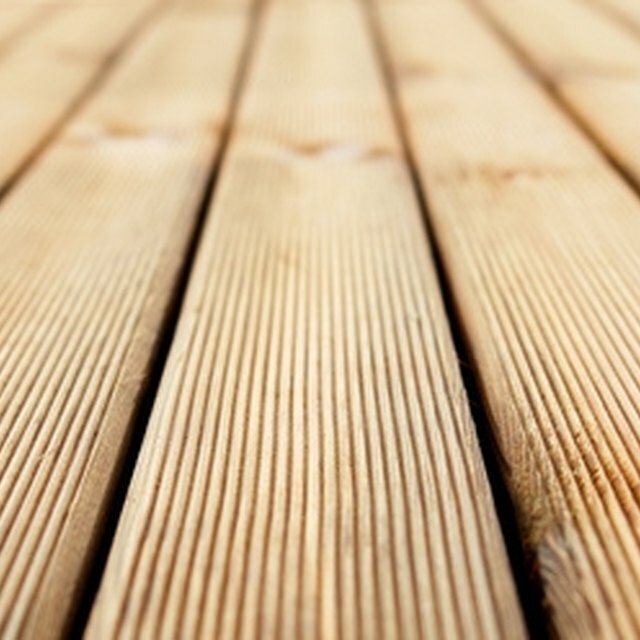 Place a 2-by-4 piece of wood vertically on top of the flat board. Draw a pencil line on it at the place where it meets the bottom of the stringer. Cut the 2-by-4 along that line; nail through the bottom of the flat board into the square end of the 2-by-4 to make a brace. Put the brace under the stringer; hit the side of it with a hammer until it is firmly lodged against the stringer (see C). Drive a nail at an angle up through the brace into the bottom of the stringer (see D). 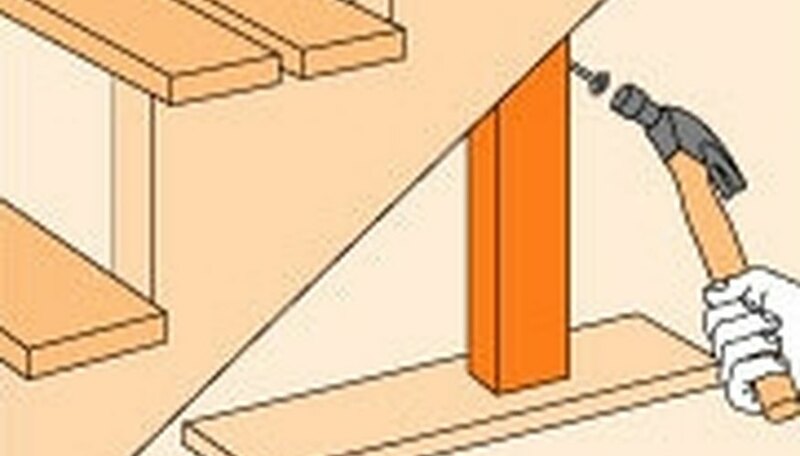 Remove the bottom treads of the stairs (see "Replacing a tread"). Install a temporary brace tall enough to hold up the stringer several inches (about 7 cm) above the ground. Remove any damaged concrete or patio block foundation with a sledgehammer or pry bar. Purchase a patio block 16 to 18 inches (40 to 45 cm) square. Dig a hole slightly larger than the block and about 5 inches (13 cm) deep where the footing will go. Fill the hole with gravel and tamp it down, leaving enough room to fit in the patio block. Slide the patio block under the stringer. Remove the brace so that the stringer rests firmly on it. Check for level and add or remove gravel as needed. Replace the bottom tread of the steps. To prevent treads and stringers from splitting, predrill holes before hammering in nails. For the replacement treads to match the older steps, you may need to round over the front edge with a sander or router. 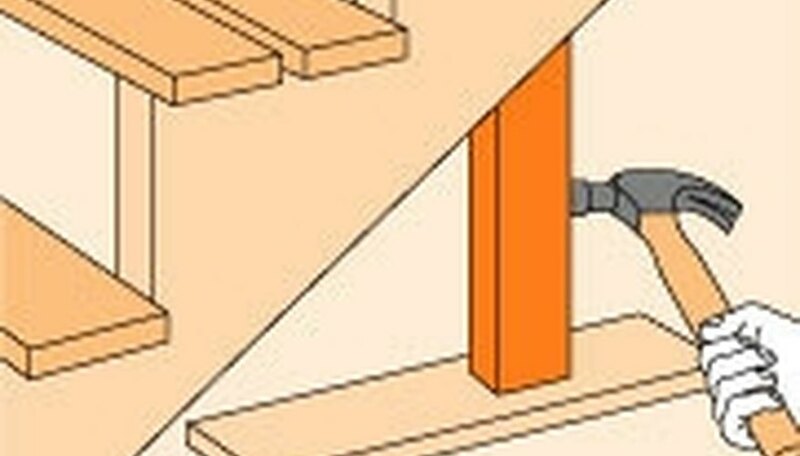 Another way to reinforce a damaged stringer is to install another stringer next to it, similar to the sister joist described in How to Strengthen Deck Joists. If you find you need to replace an entire stringer, use the old one as a pattern for cutting out a new one. You can also make a footing out of concrete poured into a wooden form. This takes more time and effort, but the footing will be more permanent and stable. Can I Replace Just a Section of My Parquet Floor?